2. Further placement of the officers will be notified due to course of time. Note:- While Dr. Waheed Ahmed BS-21 PA&AS Officer (Addl. AGP-II & Ex-MAG), who was not promoted in BPS-22. 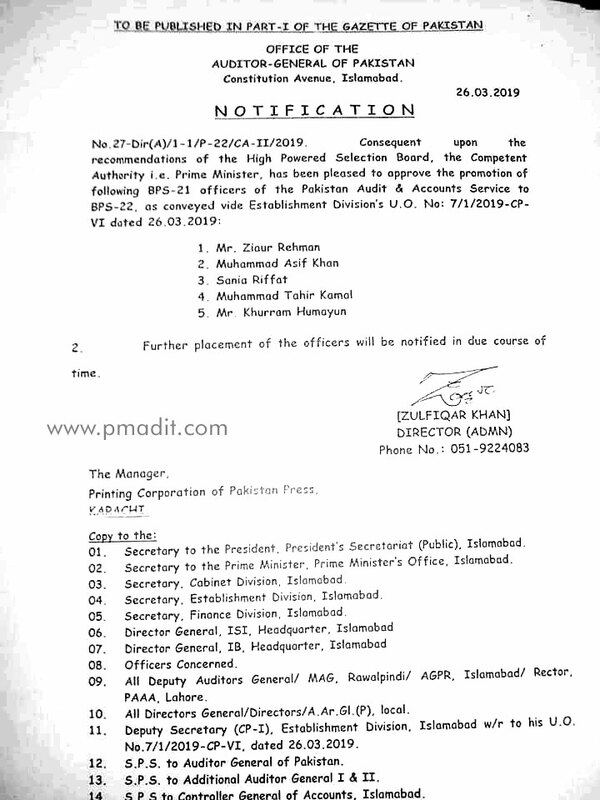 Heartiest Congratulations to all newly promoted PA&AS Officers.